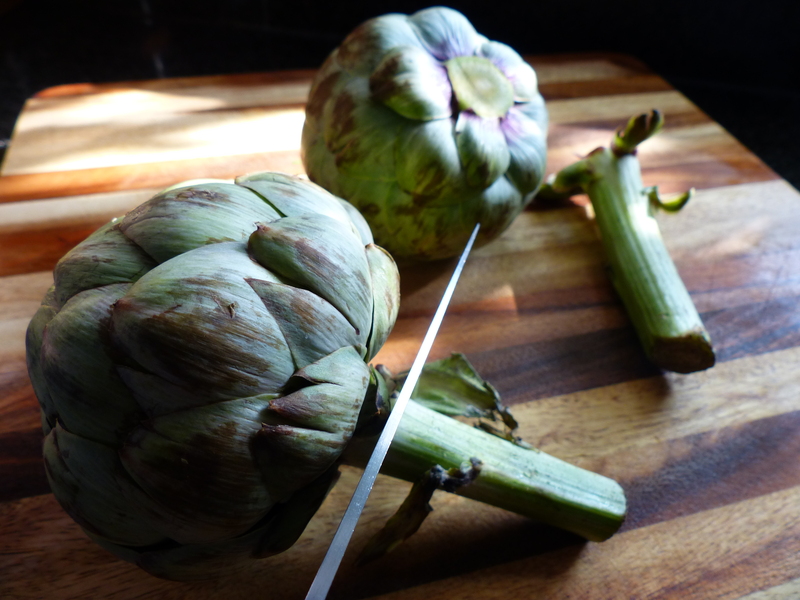 One of the most popular requests I receive is for inspired side vegetable dishes. Something easy, something delicious, something that (hopefully) everyone at the dinner table will eat. 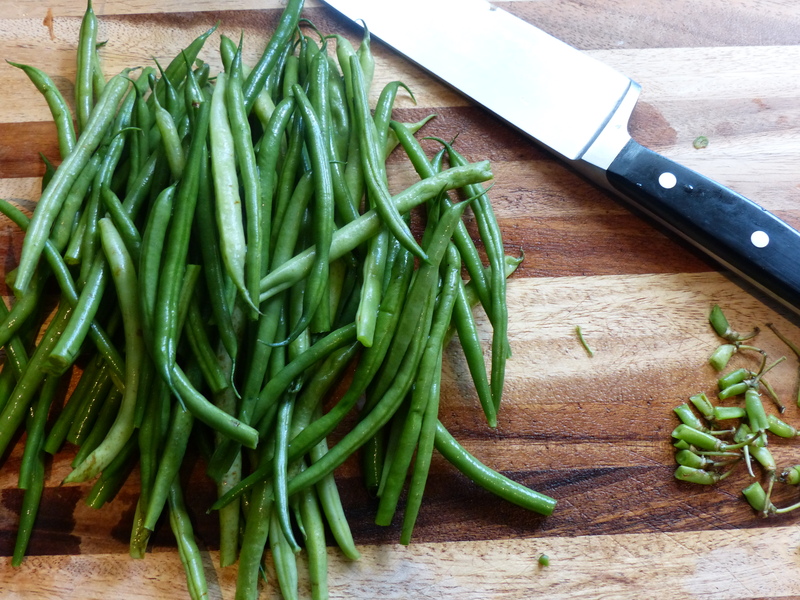 Green beans are one of those vegetables that pretty much everyone likes. You hear complaints about broccoli or eggplant or spinach, but green beans are quite well-loved, or at least pretty inoffensive. This recipe takes this ho-hum vegetable and with a new preparation technique and just a handful of ingredients, transforms it into something altogether different than what you’ve likely encountered before. It’s inspired by green beans I’ve eaten at Chinese restaurants. 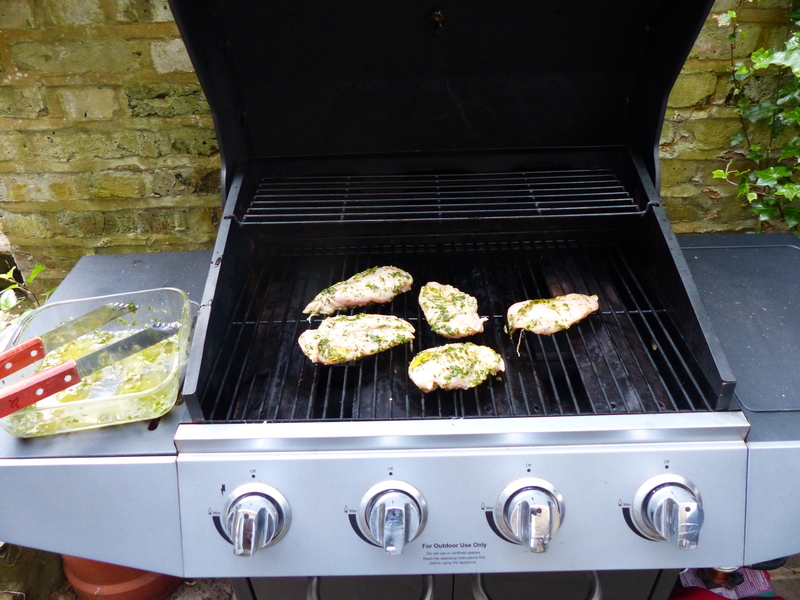 Plus it doesn’t involve the oven or even steaming (a bonus for these summer months). Sauté the green beans until they’ve blacked a bit, then add soy, honey and garlic and you’ve got yourself some mean beans. In a medium sauté pan heat the butter and oil over medium-high heat. 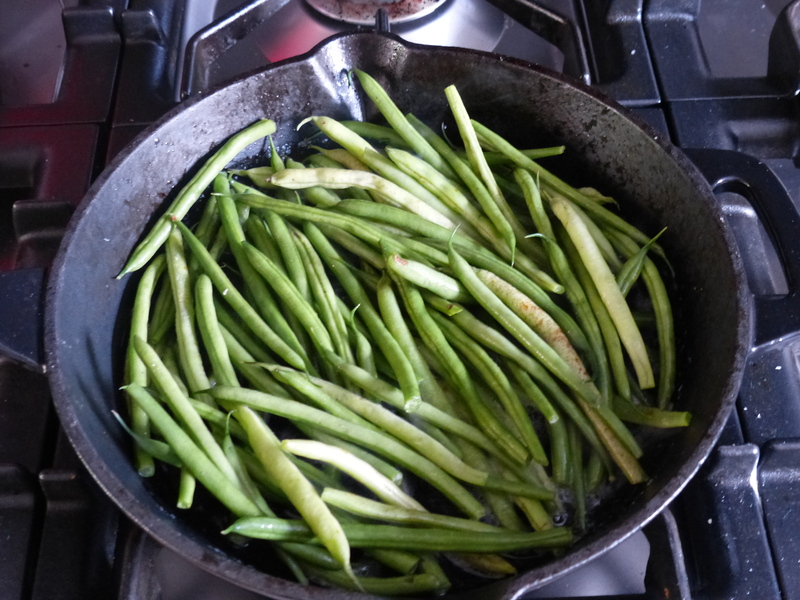 When the butter is melted, add the green beans and salt. Cook, stirring the beans occasionally, until most are well-browned, shrunken and tender, 8-10 minutes. 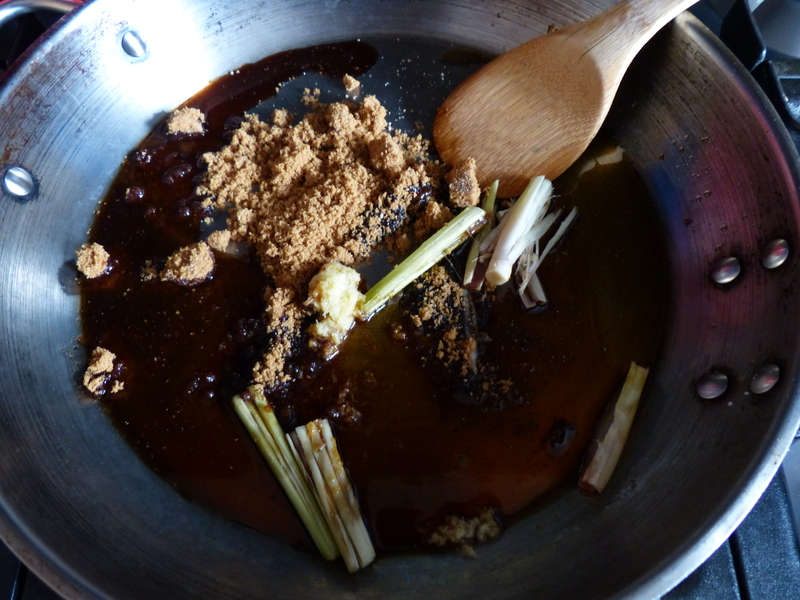 (The butter in the pan will have turned dark brown. If beans aren’t browned at 8 minutes, turn up heat a bit.) 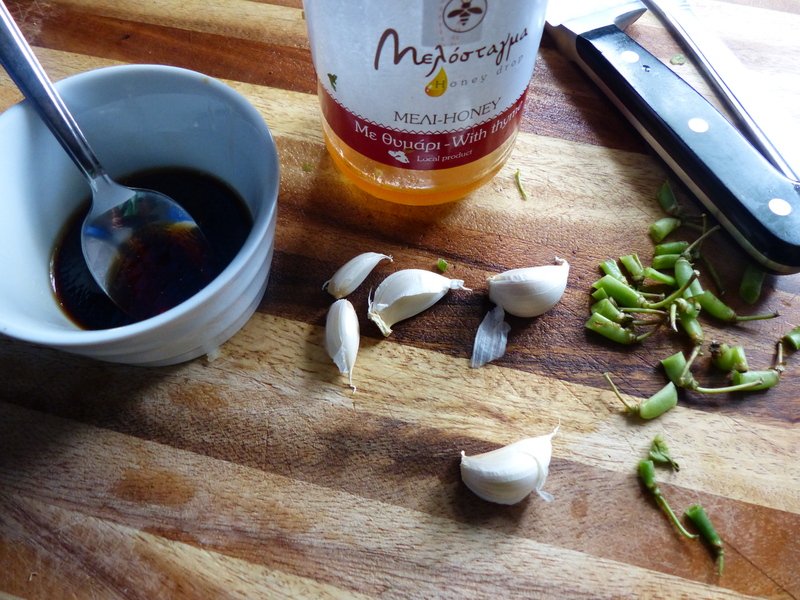 While the beans are cooking combine the soy sauce and water in a small bowl. Reduce the heat to low, add the garlic, and cook, stirring constantly with a heatproof rubber spatula, until the garlic is softened and fragrant, about 15 seconds. Carefully add the soy and water mixture then the honey. Cook, stirring, until the liquid reduces to a glaze that coats the beans, about 1 minute. 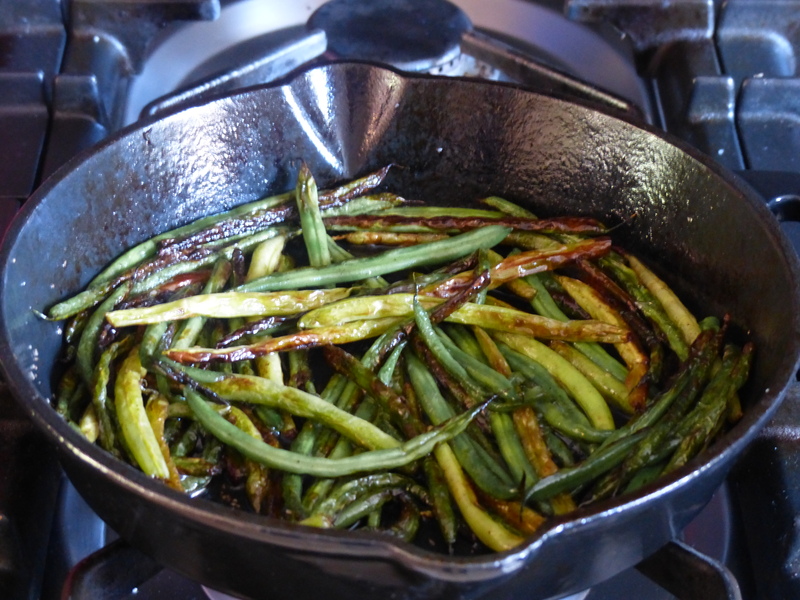 Transfer the beans to a serving dish, scraping the pan with the spatula to get all of the garlicky sauce, and serve. This lovely cake represents my first successful foray into gluten-free baking. My daughter and I attempted a birthday cake for a friend earlier this year which yielded dubious results. Now I realize the error, and on the opposite side of the coin, what it takes for successful gluten-free baking (and this theory also applies to successful vegetarian and vegan cooking): don’t strive for an exact replica of your favorite food containing gluten, meat or dairy. 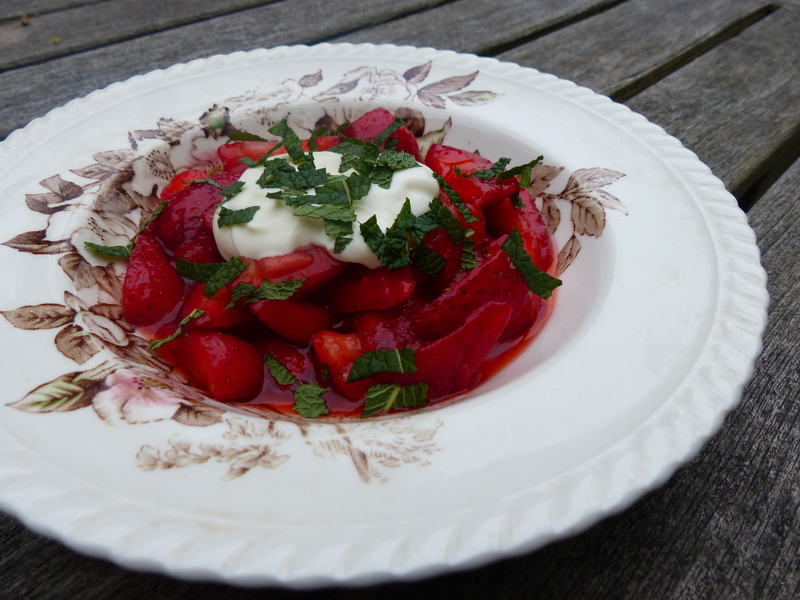 Rather embrace recipes and foods that are naturally gluten-free or meat/dairy-free. This Lemon Polenta Cake doesn’t attempt to be a light, fluffy chiffon layer cake. It is a dense, earthy cake with the slightly gritty polenta and the nuttiness of the almond meal. These two ingredients are showcased – the recipe in no way attempts to transform them into something which they are not. And that’s a typical mistake I see with vegetarian and vegan dishes. Can’t have pork bacon? Then eat some weird “fake-on” (FYI – that’s my word for fake bacon). Can’t have cheese? Have a lab-cultured cheese-like creation. There is a bounty of delicious and amazing vegetarian and vegan foods already existing in nature – fruits, vegetables, grains, nuts, herbs, spices, pulses. 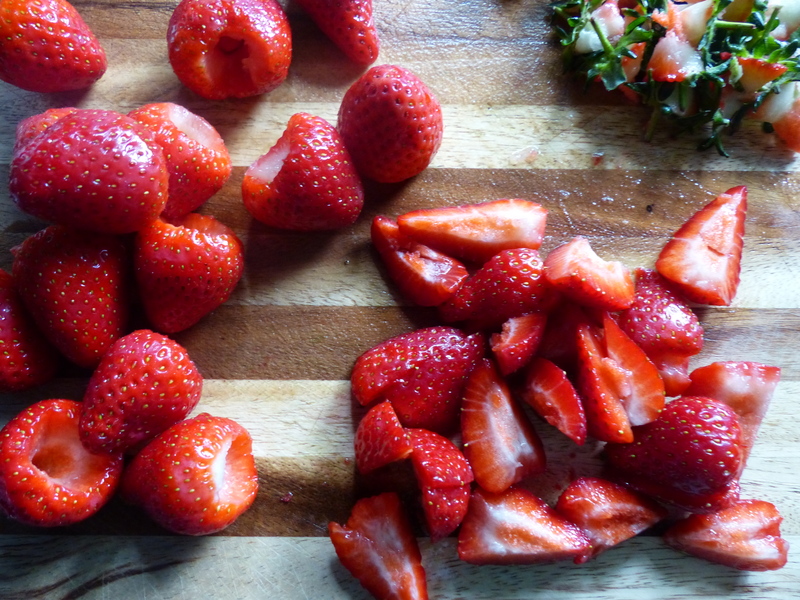 Feast on those rather than on some not nearly as satisfying imitation product. 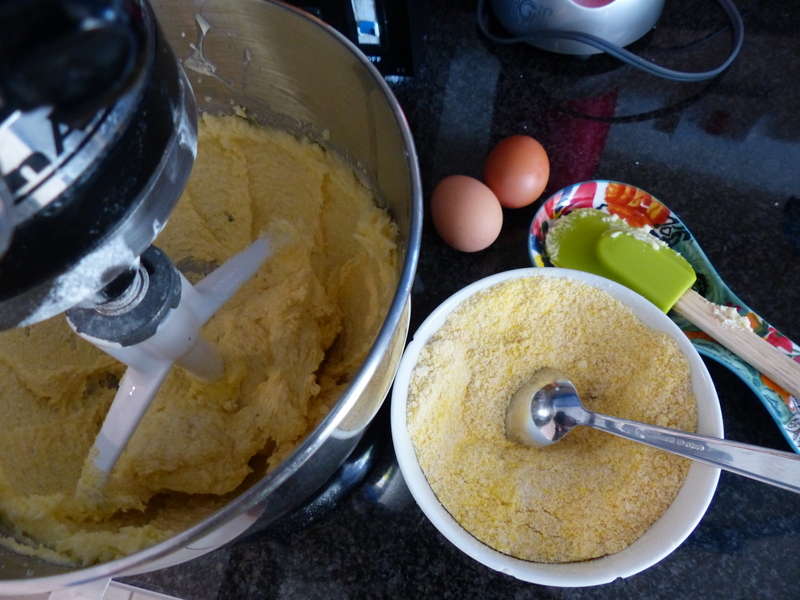 Give this delicious Lemon Polenta Cake a try. 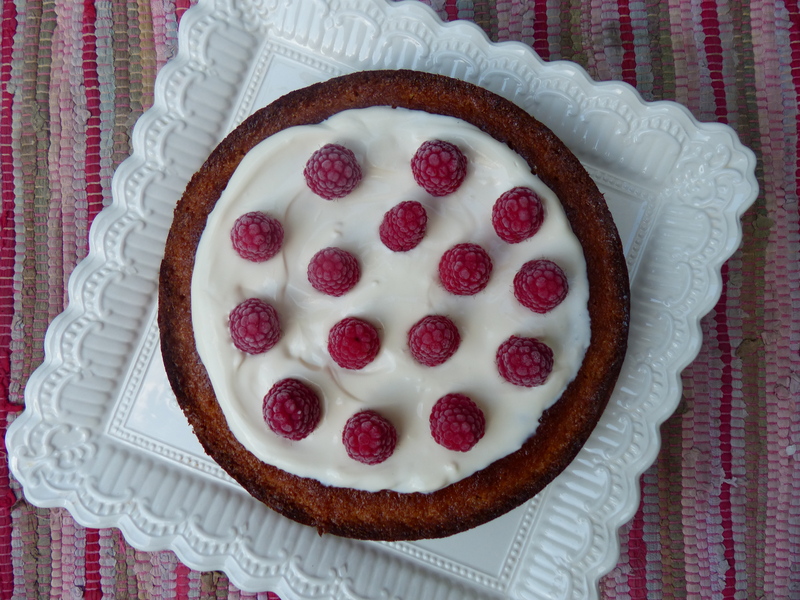 Not because it’s gluten-free, but because it is an amazingly delicious cake! Note: If you don’t have or can’t find almond meal/flour, grind whole almonds or almond pieces in a food processor or Nutribullet until they make a fine powder (don’t overmix or can turn into almond butter). This cake lasts longer than most cakes: keeps for up to 6 days. Line the base of a 9″/23cm springform cake pan with parchment paper and grease its sides lightly with butter. Preheat the oven to 350º F (180º C). For the cake, beat the butter and sugar until pale and whipped, either by hand in a bowl with a wooden spoon, or using a freestanding mixer. 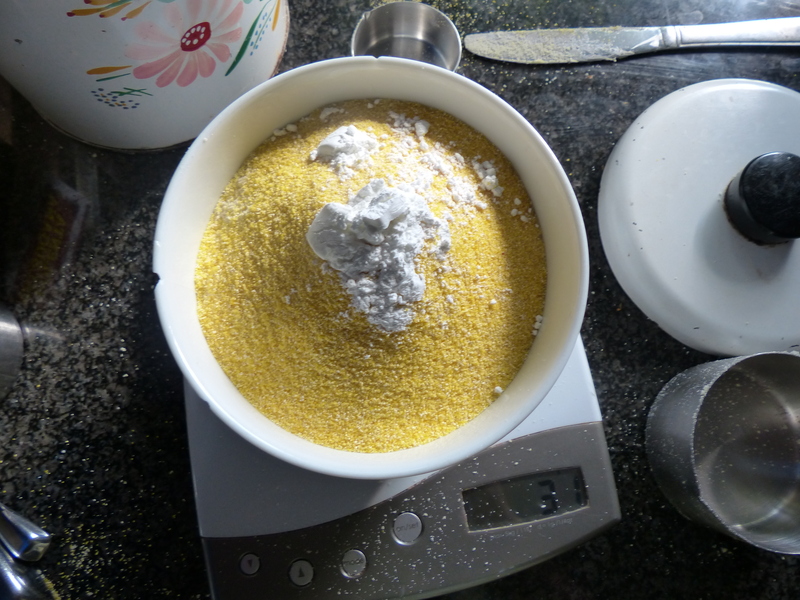 Mix together the almond meal, polenta and baking powder, and beat some of this into the butter-sugar mixture, followed by 1 egg, then alternate dry ingredients and eggs, beating all the while. 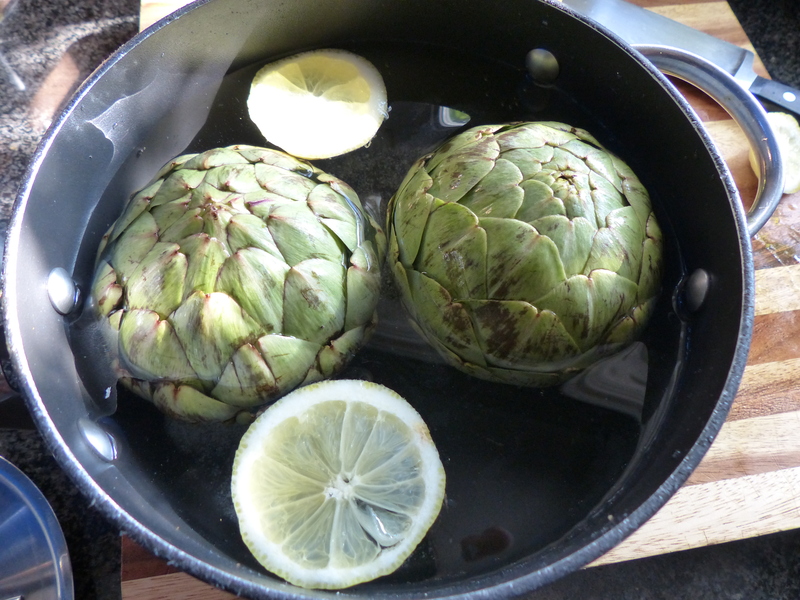 Finally, beat in the lemon zest and pour the mixture into your prepared pan and bake in the oven for about 40 minutes. 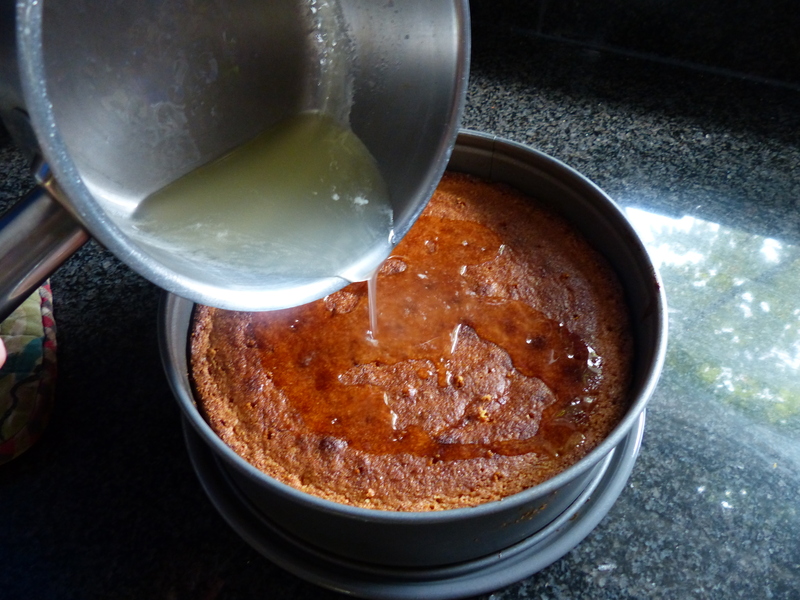 It may seem wibbly but, if the cake is cooked, a cake tester should come out cleanish and, most significantly, the edges of the cake will have begun to shrink away from the sides of the pan. Remove from the oven to a wire cooling rack, but leave in its pan. 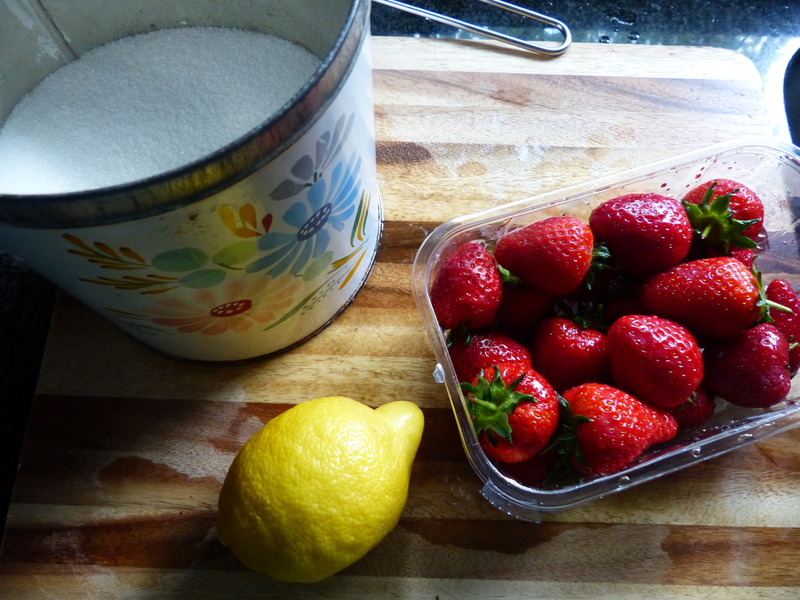 For the syrup, boil together the lemon juice and powdered/icing sugar in a smallish saucepan. 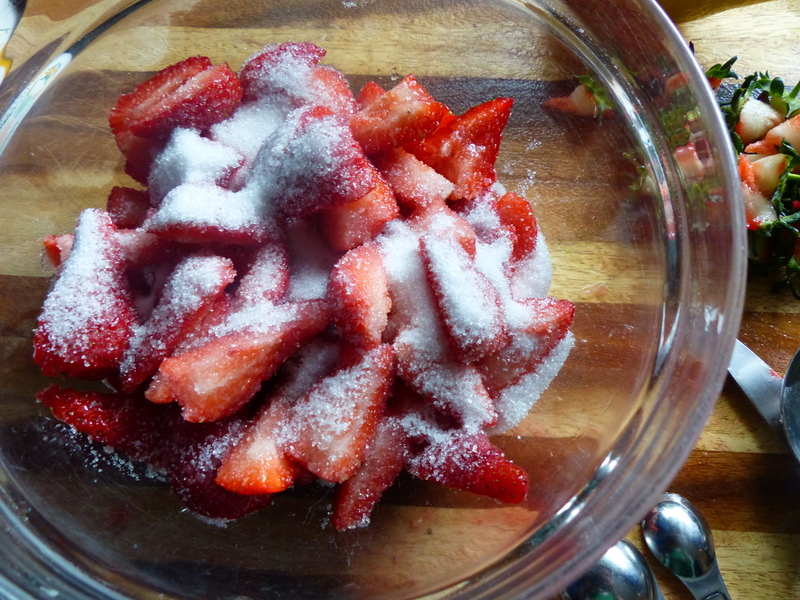 Once the sugar has dissolved into the juice, you’re done. Prick the top of the cake all over with a toothpick, pour the warm syrup over the cake, and leave to cool before taking it out of its pan. The official start of summer in the US – Memorial Day – is upon us this weekend. In the UK it’s a holiday weekend as well, though it’s a generic “bank” holiday…don’t exactly know the significance, but I’ll take the holiday nonetheless. Plus kids are off school next week for half-term break. Yeah!!!! 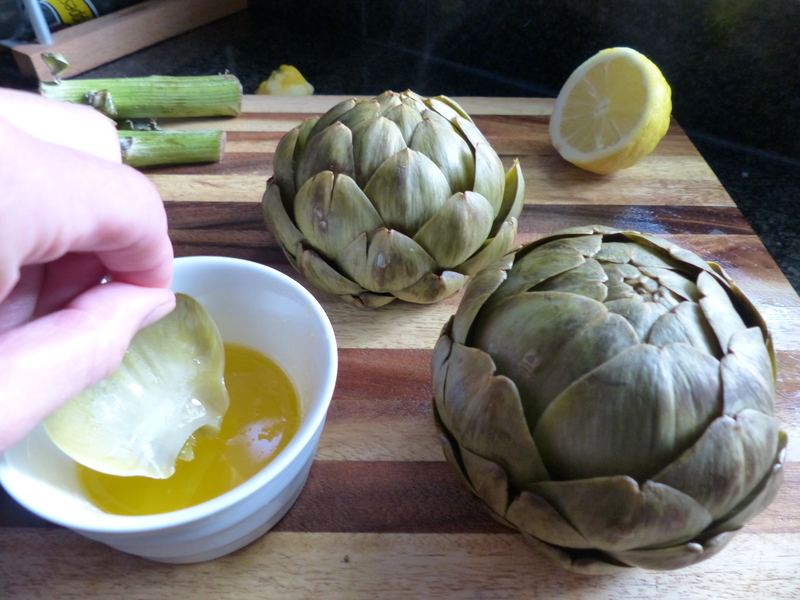 To kick-off the summer, I’m sharing with you my absolute favorite marinade. 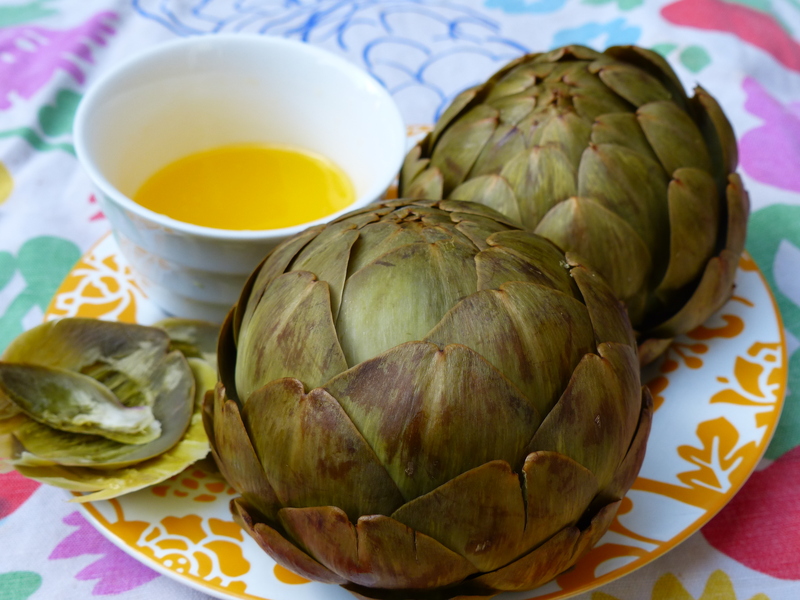 It’s comprised of super fresh, Mediterranean flavors: lemon, olive oil and fresh herbs. You can use it on chicken, beef, pork, shrimp, fish or veggies – pretty much anything. 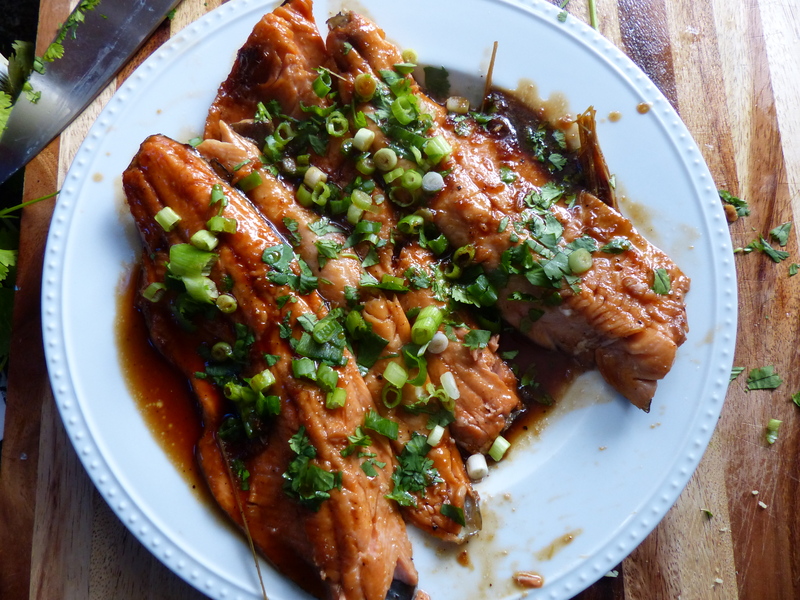 I use about half of it to marinade and then use the other half as a sauce. 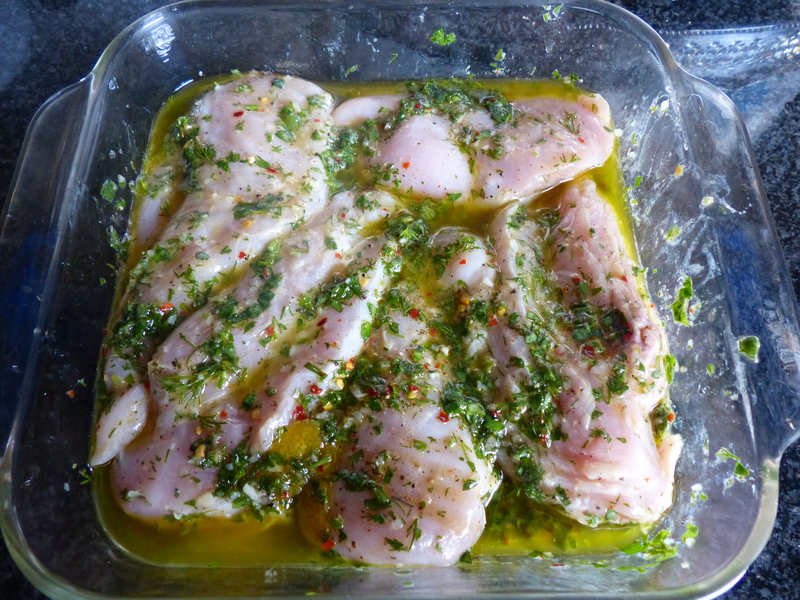 You can marinade for as little as an hour, or if you want more flavor (and have superior planning skills to me) then marinade in the refrigerator overnight. 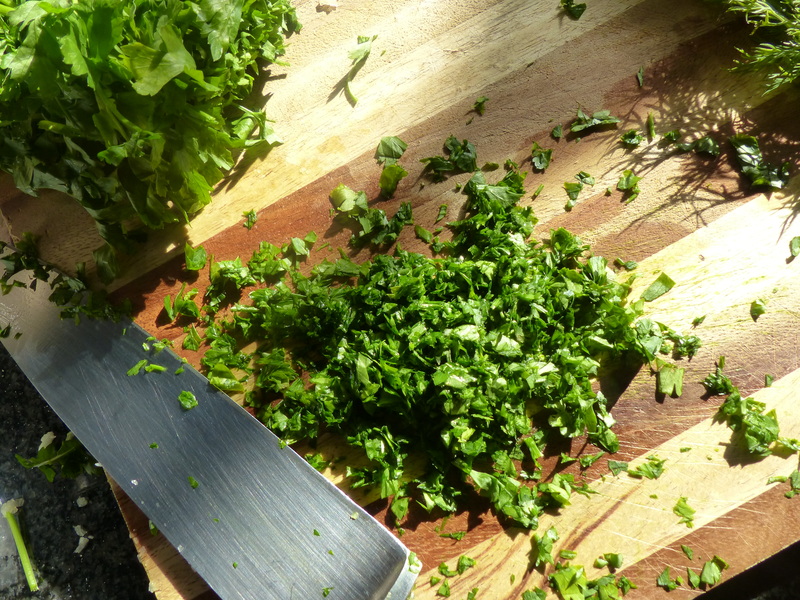 Incorporate whatever fresh herbs might be growing like gangbusters in your garden this summer, or what looks particularly nice at the farmer’s market….or whatever bits and bobs you have in your refrigerator. 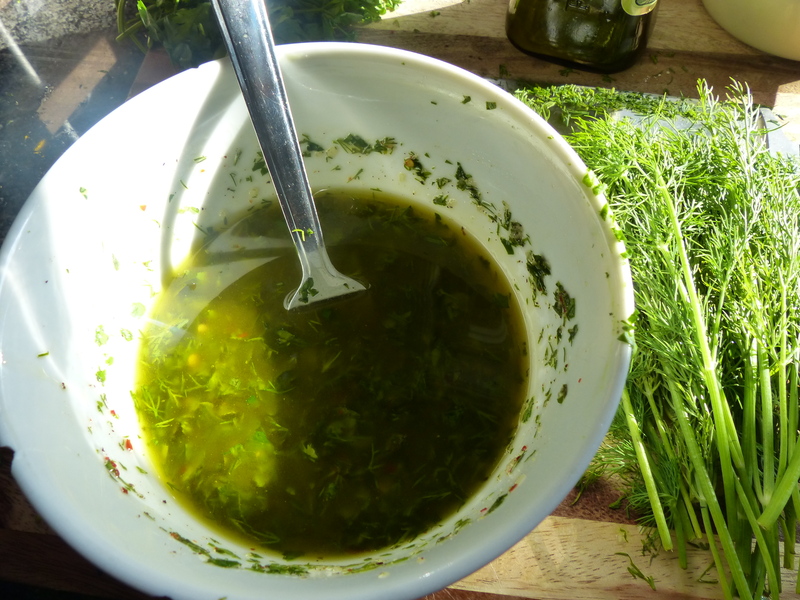 Note: You can use this marinade on chicken, pork, steaks, chops, prawns/shrimp, salmon, vegetables – pretty much anything. I like to use half of it to marinade the aforementioned items and save the other half to serve alongside as a sauce. 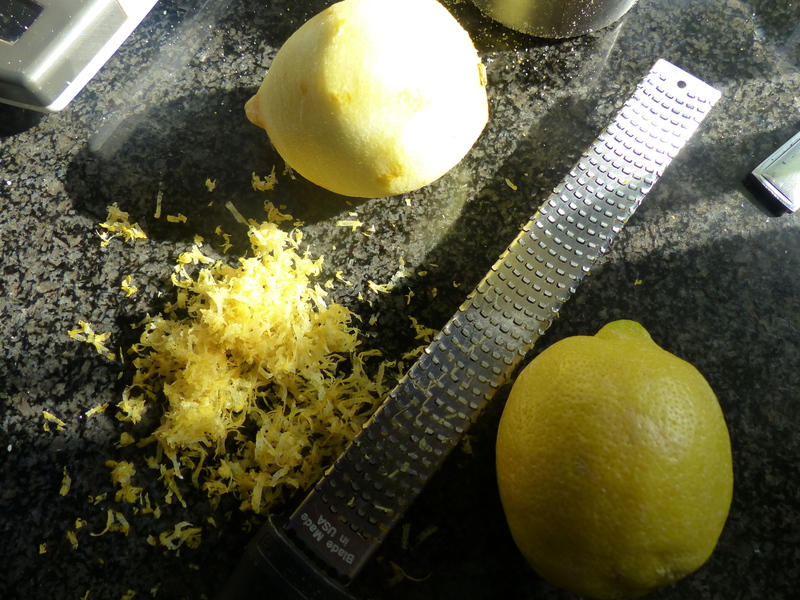 In a small bowl, combine the lemon juice, red pepper flakes, pepper and salt. Stir until salt has dissolved. 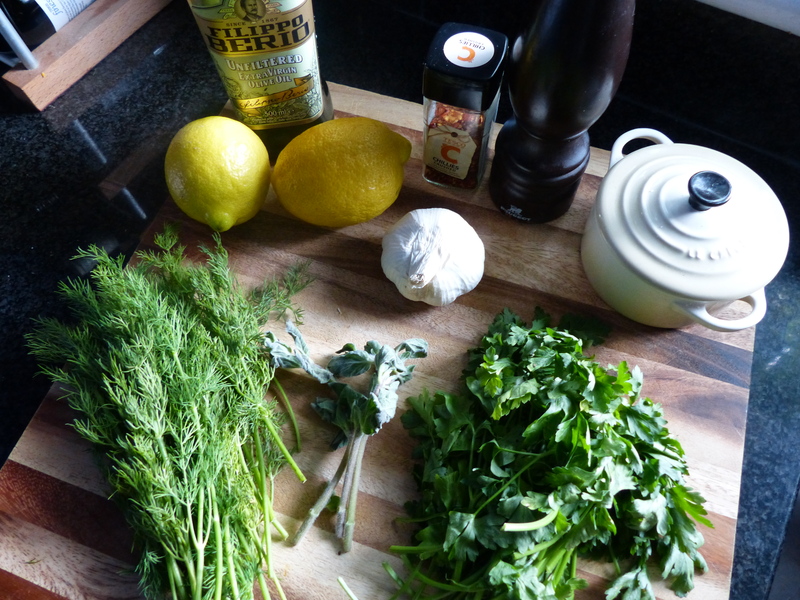 Add the lemon zest, garlic, parsley and herbs and stir. Slowly add the olive oil in a stream, stirring continuously with a fork or whisk. 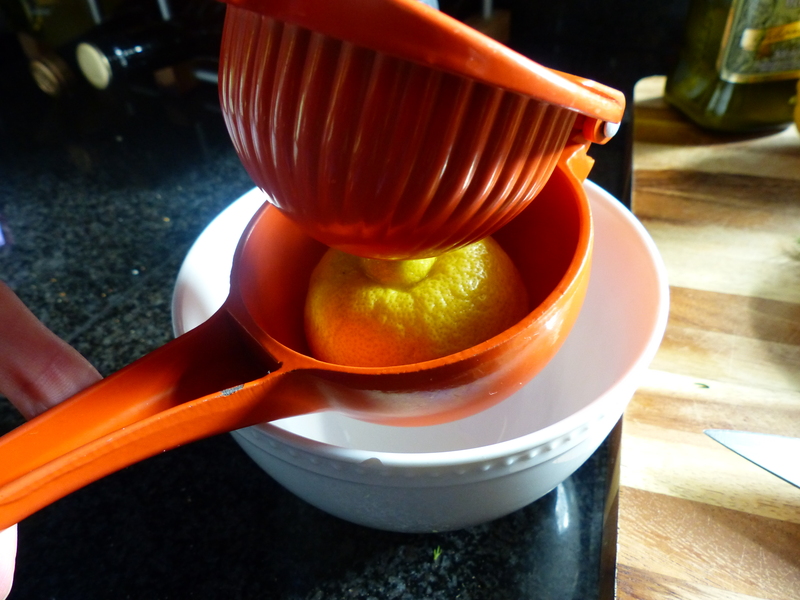 Pour over your poultry, meat, fish, seafood or vegetable of choice. Let sit for at least an hour or overnight. 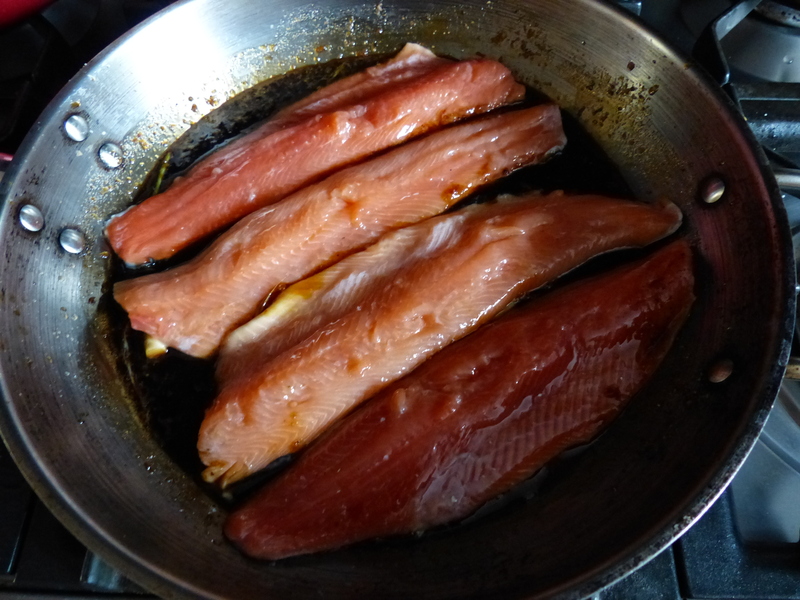 Grill to desired doneness (or if not grilling, can cook on the stovetop or in the oven). The timing of this chili post, when the weather is just beginning to warm up in London and most of the States, may seem a bit odd. However, let me explain. I’ve been wanting to post my favorite chili recipe for this entire winter. Originally I’d thought to tie it in with the Superbowl. 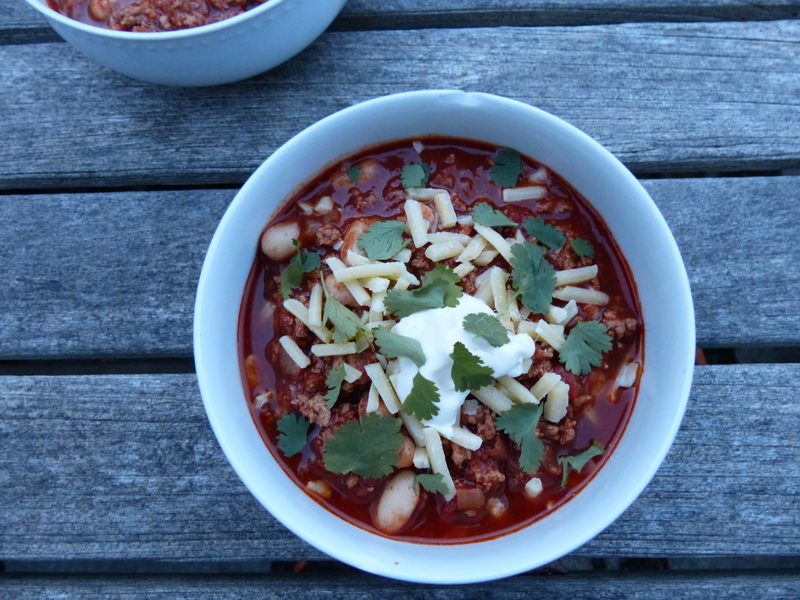 Football and chili, a classic combination. But Sticky Glazed Chicken Wings won out. Fast forward a few months and May is upon us and I’m sorting out what to make for our Cinco de Mayo celebration. 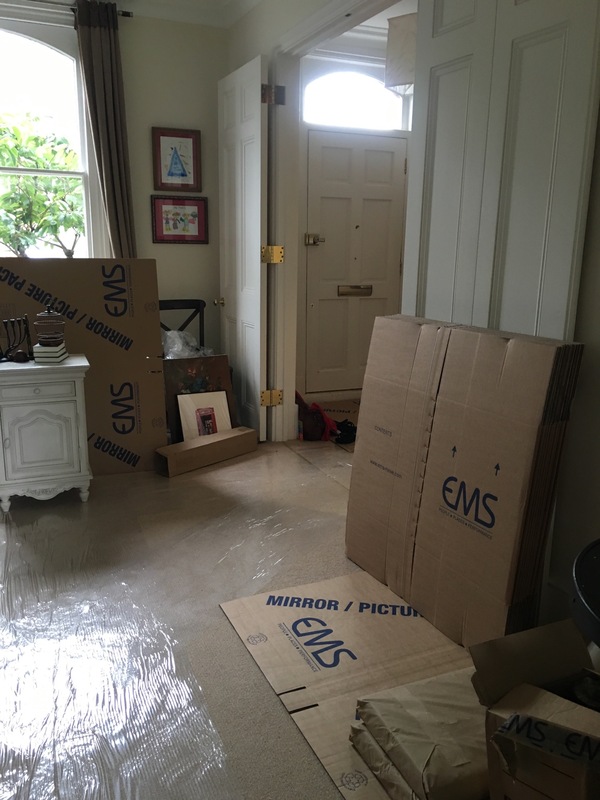 And it hits me…. chili would be perfect. This Turkey and White Bean Chili has a secret ingredient that gives it some Mexican cred…..cocoa powder. It’s a bit like a molé sauce. It’s best topped with sour cream, cilantro/coriander, avocado, cheese and a squeeze of lime. All favorite ingredients in Mexican cooking. Make a batch, or a double-batch, keep it warmed on the stove, and let guests ladle up their own bowls. Set out all the toppings and you’ve got yourself a Cinco de Mayo chili bar. Olé! Note: This recipe makes 5 cups (1.25 liters). If you like more beans in your chili, add another can. You can also substitute dried beans for the canned beans. 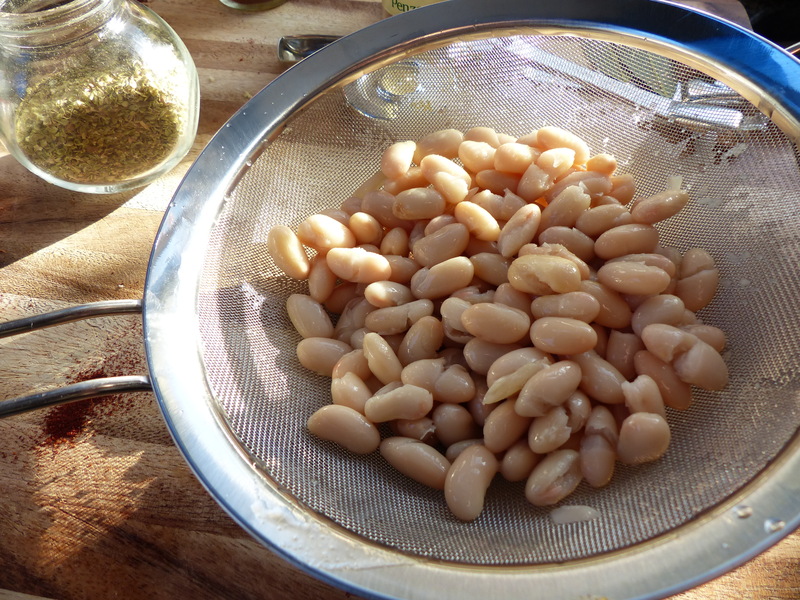 Place ½ cup dried cannellini beans in a medium saucepan, cover with 2” / 5cm cold water and add a pinch of salt. 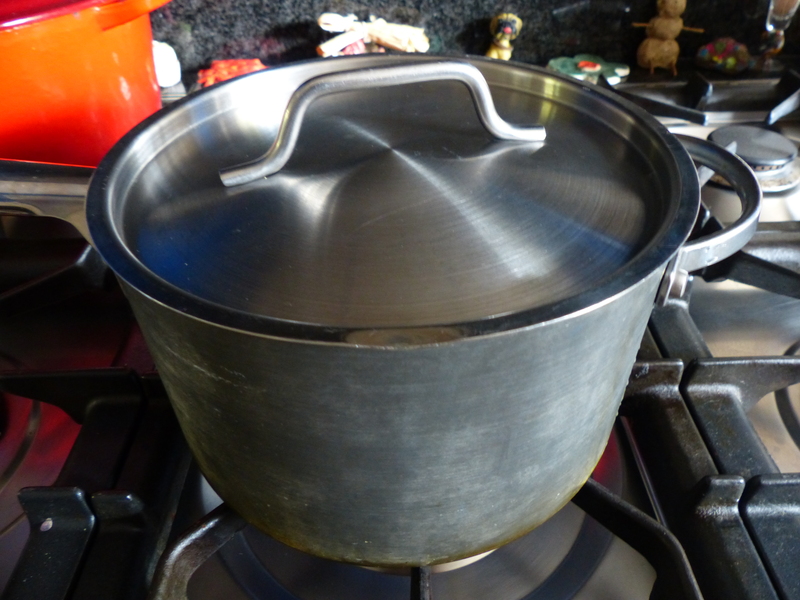 Bring to a boil, then reduce to a low simmer until the beans are fully cooked, about 3 hours. Heat oil in a medium or large pot over medium-low heat. 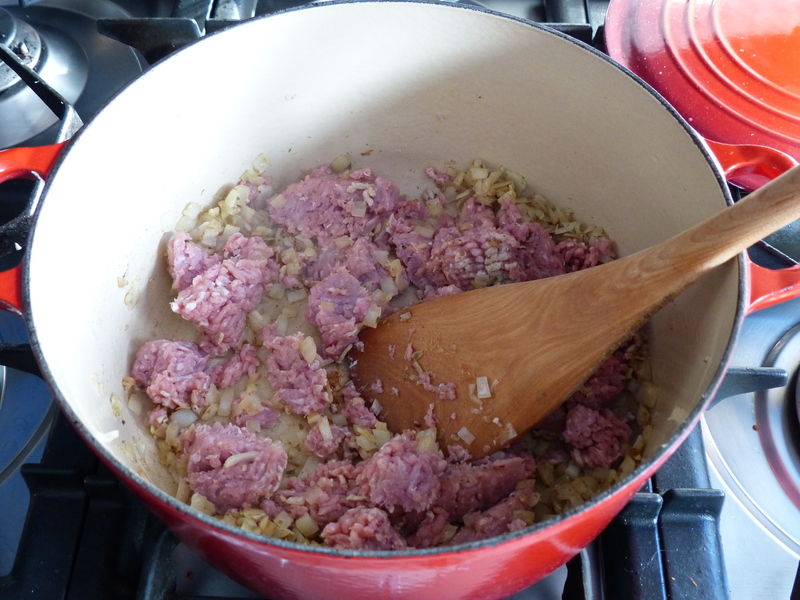 Add onions and sauté until soft and beginning to brown, stirring often, about 7 minutes. 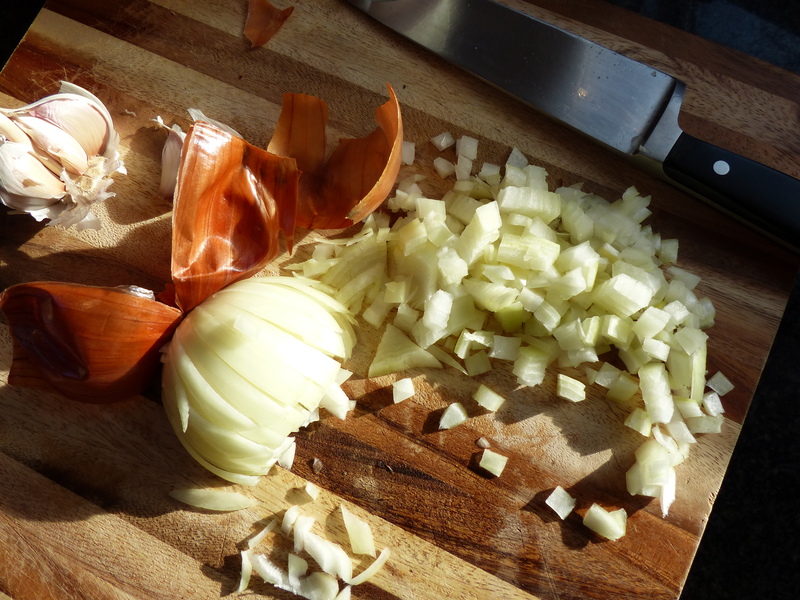 Add garlic and cook for 2 minutes, stirring often. Add oregano and cumin and cook for 1 minute, until fragrant. Add turkey, increase heat to medium-high and cook until no longer pink, breaking up with a spoon, about 8 minutes. 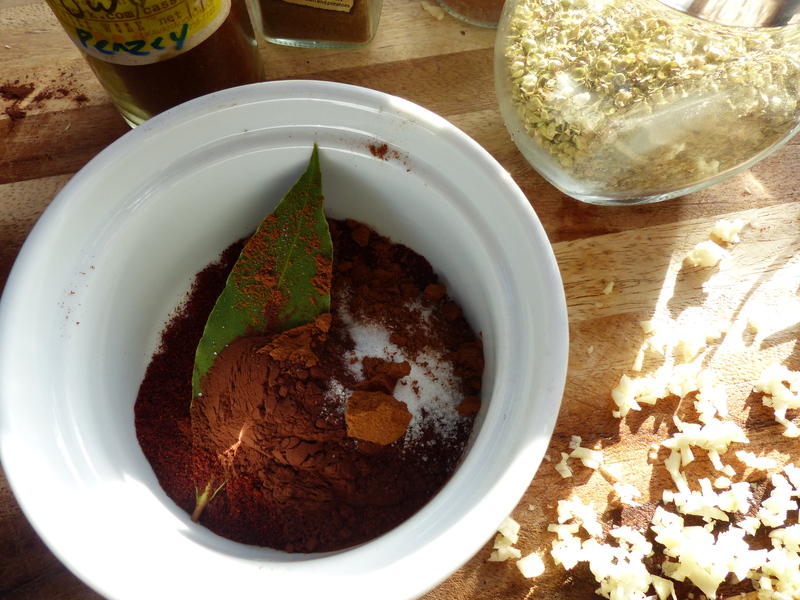 Stir in the chili powder, bay leaf, cocoa, salt and cinnamon. 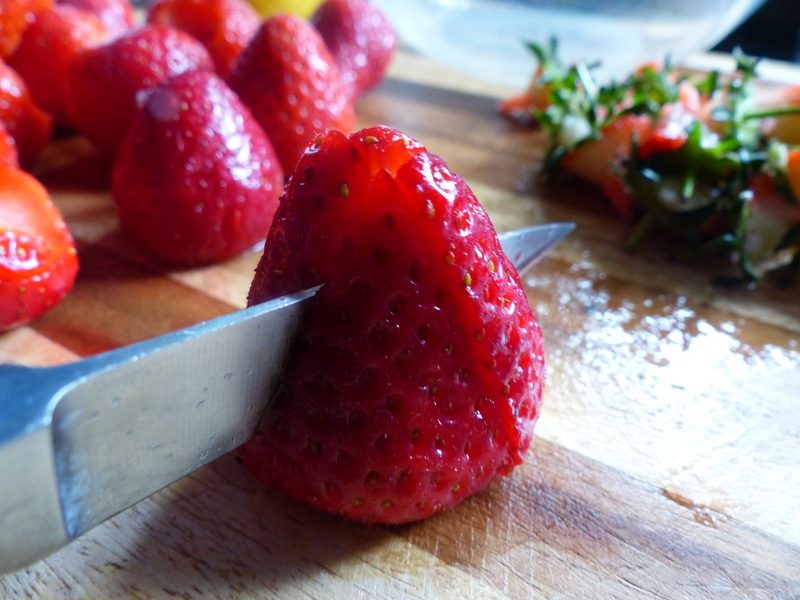 Add tomatoes with their juices and break up with a spoon. Add water and tomato paste, stir well, and bring to a boil. Lower the heat and simmer, covered, stirring occasionally for 45 minutes. Add beans to chili and simmer until flavors blend, about 10 minutes. Serve chili with desired toppings; add a bit of water if too dry, especially when reheating.